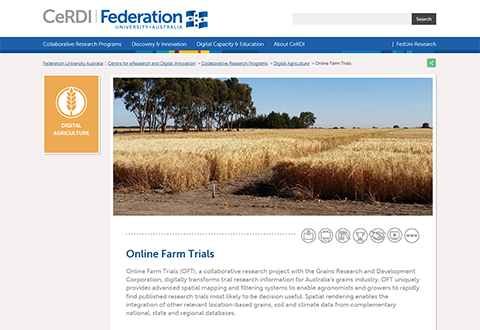 Welcome to the latest newsletter from the Centre for eResearch and Digital Innovation (CeRDI). With so much activity underway, this newsletter provides an opportunity to capture and celebrate recent research milestones and successes. Engagement linked to Federation University Australia’s participation in the Cooperative Research Centre (CRC) for High Performance Soils and the Food Agility CRC has been extensive since funding decisions were announced. This included hosting the Food Agility CRC Roadshow in Ballarat on 29 May 2017 with more than 40 research, industry and government stakeholders attending. During May, CeRDI launched its new look website. The new design work, coupled with extensive, up-to-date content ensures the CeRDI website is the ‘go-to place’ to learn about what we do, who we are collaborating with and what we are currently working on. If you haven’t visited yet, please have a look and let us know what you think: www.cerdi.edu.au. Recent funding successes has been achieved by CeRDI and its research collaborators. The Helen Macpherson Smith Trust and VicHealth have awarded substantial funding to extend current natural environment and health and wellbeing research respectively. The Sport and Recreation Spatial research program led by Rochelle Eime has received public recognition for research excellence, with two prestigious awards recognising the achievements of the team and the industry impacts of the research. CeRDI’s spatial technology and data portal developments continue to expand. Recently launched initiatives include the South Australia Tree Watch portal; Western Alliance for Greenhouse Action ‘How well are we adapting’ monitoring; evaluation and reporting framework for climate change adaption performance by councils; and extensions to the career pathways information for ‘Land Your Career’, which aims to educate and inspire prospective students on the careers and roles that exist in the land management sector. And finally, during May, four CeRDI post graduate students completed confirmation of candidature for their PhDs. This marks a significant milestone in the research studies of these students and also for CeRDI and its programmatic approach to engaging industry through its longitudinal, collaborative and multi-disciplinary research and innovation programs. CeRDI staff have been involved in a range of forums and engagement activities that contribute to public policy development and generate positive impacts for regional industries and communities. Engagement activities often reflect the multi-disciplinary nature of CeRDI staff across our collaborative research programs. In March 2017, Rob Milne represented CeRDI at the Victorian Government’s Digital Roundtable. Focusing on accelerating new technologies within agriculture, the Roundtable brought together farmers, technology experts and industry leaders and was chaired by the State Minister for Agriculture and Regional Development, Jaala Pulford. A key aim of the event was to identify ways to harness the benefits of on-farm technologies and ensure Victoria remains an industry leader in online and digital innovations. 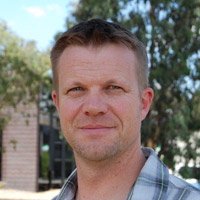 Rob has firsthand knowledge of the agricultural industry and is project leader for Online Farm Trails, which uses the latest technology to improve access to on-farm research for the Australian grains industry. In the recent Victorian State budget, funding announcements were made to develop a business case for the Networked Centre for Grains Innovation in the Wimmera Southern Mallee. This will ensure Western Victoria is placed firmly at the centre for agricultural innovation. In the lead up to this announcement, workshops to identify priorities through Regional Partnerships were held in regional communities across Victoria. Helen Thompson and Rob Milne actively participated in the Horsham workshop. This provided opportunities for sharing the learnings that CeRDI has gained through digital agriculture collaborations including those with the Grains Research and Development Corporation (GRDC) through projects such as Online Farm Trials (OFT), CropPro - Diagnostic Agronomy and Grain and Graze. Helen Thompson also represented CeRDI on the Victorian Technical Advisory Group for Reducing the Regional Digital Divide. This group met a number of times in late 2016 to provide Regional Development Victoria with advice to support the development of budget bids. Recent Victorian Government budget announcements have confirmed a $45million boost for better broadband, mobile coverage and Wi-Fi hubs. Trials to improve broadband in Morwell and Horsham and Internet of Things demonstration projects will be implemented in the North West and Goulburn-Murray regions. Improvements are also planned to mobile blackspots and connectivity on regional rail including the Ballarat to Melbourne rail line. CeRDI was actively engaged during consultation linked with the Biodiversity 2037 - Victoria’s plan to protect Victoria’s environment and to stop the decline of native plants and animals and improve Victoria’s natural environment so it is healthy, valued and actively cared for. CeRDI is playing a key role in projects to address and respond to this plan through projects including Visualising Victoria’s Biodiversity, State Wide Integrated Flora and Fauna Teams, Visualising Victoria’s Groundwater and climate change initiatives such as the South West Climate Change portal. Horsham Rural City Council (HRCC), in partnership with CeRDI, have been successful in securing funding through the VicHealth’s Alcohol Culture Change Grants Initiative for Local Councils. The Alcohol Culture Change Initiative aims to prevent alcohol related harm by improving cultures to reduce risky drinking within Victorian subpopulations. VicHealth are investing $3.1 million to drive cultural change in at risk populations. The initiative recognises that the ‘one size fits all’ approach does not address the diverse drinking cultures within the Victorian community, and have funded targeted programs in the hope that this will have a greater impact. The project aimed to capture insights to form an understanding of the current practices of alcohol consumption and alcohol misuse in the region, and to identify opportunities for cultural change to reduce alcohol use. although there are no notable differences in quantity of alcohol consumed by males and females within the subpopulation, there are distinct gender differences in patterns of drinking and in the level and type of risk taking behaviour. There is also difference in the extent to which drinking is accepted and conceptualised by the broader rural community based on gender. This research data was used to inform the development of a model to promote a shift in existing alcohol culture among rural young people. The project titled ‘Rural youth action - Challenging Alcohol Norms (RyACAN)’ involves a multidimensional approach targeting key stakeholders, young people, parents and the wider community to shift norms around alcohol consumption and alcohol misuse in the region. This project was one of four projects awarded Stage 2 funding to implement the model over next 24 months. The next stage of the program will include building knowledge, awareness and capacity, an integrated education program for parents and young people, and a social marketing campaign to counter current perceived norms and promote alternative choices for young people. Alongside the intervention is a comprehensive research program to measure the outcomes and impact on the drinking culture of young people with the HRCC. 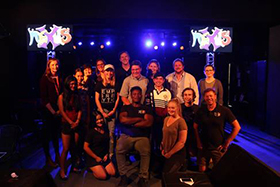 For more information about the project contact Dr Angela Murphy, CeRDI Senior Research Fellow: aa.murphy@federation.edu.au, or visit our project page: Shifting the Norm - Changing Rural Alcohol Culture Through Youth Engagement in Horsham. CeRDI has been awarded additional funding from the Helen Macpherson Smith Trust (HMST) to continue important capacity building work for the State Wide Integrated Flora and Fauna Teams (SWIFFT) and Visualising Victoria's Biodiversity (VVB) projects. The Trust have awarded $90,000 in funding over two years under the Trust’s multi-year community grants program. The HMST funding will facilitate engagement with stakeholders and allow for implementation of improvements to advance interoperable data sharing and knowledge management. The SWIFFT network is an initiative supported by CeRDI, the Victorian Department of Environment, Land, Water and Planning (DELWP), HMST and a network of stakeholders. It aims to advance citizen science by facilitating awareness and knowledge sharing in relation to biodiversity conservation and threatened species for Victoria. 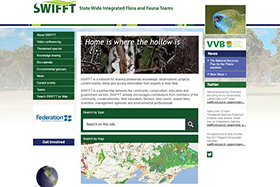 CeRDI, under the leadership of Birgita Hansen and Rob Milne, has conducted previous work with SWIFFT, particularly around knowledge sharing and engagement with biodiversity stakeholders and to enhance planning (State-wide Integrated Flora and Fauna Teams Research). VVB is an online spatial portal that provides the Victorian community with access to a wide range of spatial information on Victoria's environmental values, conservation activities and research. VVB is a CeRDI initiative, led by Rob Milne, and is a partner site to SWIFFT. 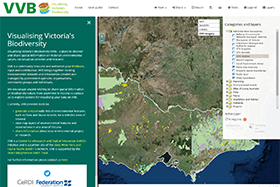 VVB federates and visualises environmental data from national, state, regional and local sources in an easy to use interactive spatial interface (Visualising Victoria's Biodiversity). The latest funding from the HMST will enable the development and expansion of biodiversity participation and collaboration within both projects (VVB and SWIFT) across broad sectors in the community including farming, education, public organisations and the private sector. New organisational sharing arrangements are also being planned. This will enable data interoperability and other approaches to be implemented. The planned enhancements are in response to calls from the wider community to participate and collaborate in biodiversity, and to access relevant and comprehensive biodiversity information. The planned expansions to SWIFFT and VVB will enable this to occur, facilitating the availability of biodiversity information, enabling knowledge collaboration and improving cooperation and collaboration between key industry organisations and the wider community. The CeRDI research team of Birgita Hansen and Rob Milne, together with the industry partner DELWP and SWIFFT members, will work together to implement these developments to VVB and SWIFFT from in July 2017 onwards. Throughout 2017, CeRDI staff have been working towards a ‘new look’ CeRDI website. This work culminated in the launch of the new website in May. In addition to major content updates, returning website users will notice a new look and feel, with better representation of the major research and technology advances that CeRDI has achieved in recent years. The working group for the website redevelopment was instrumental in implementing changes to the website and preparing new content and updating content for the site. In particular, Joel Epstein, Craig Briody, Andrew MacLeod and Alison Ollerenshaw provided substantial input on all parts of the website redevelopment. Visitors to the new website can access comprehensive information about the Centre’s research programs, research themes and projects. There is also background information on research which CeRDI undertakes in the area of Data Discovery, Technology Innovation and Longitudinal Impact. 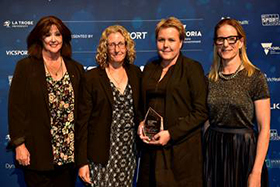 In April, Sport and Recreation Spatial was awarded the 2016 VicHealth Victorian Sport Development Initiative of the Year Award. The Victorian Sport Development award recognises the extensive research being conducted by the Sport and Recreation Spatial research team. The research team, led by Rochelle Eime from FedUni and Victoria University, has conducted research into sport and recreation participation, facilities and health outcomes, which is supporting evidence-based planning and decisions in the sport and recreation sector. Awards success for Sport and Recreation Spatial continued in May with an Award for Excellence from Parks and Leisure Australia in the Research Project category (Victoria and Tasmania). Parks and Leisure Australia is the peak industry association for professionals working in the Parks and Leisure sector in Australia. With over 2500 members, the organisation supports activities that strengthen community through leisure activities that contribute broadly to the social, economic and physical wellbeing of Australians. The award recognises the extensive achievements in the leisure and well-being related industries, including research supporting wellbeing through leisure. Sport and Recreation Spatial offers a comprehensive collection of national and state-wide data about sports participation, sport and recreation facilities, population demographics and population health from multiple data custodians. It includes over four million sport participant records from 11 leading sports. The research team provides extensive knowledge to the sport and recreation sector about sport participation, facilities and health. A core innovation of Sport and Recreation Spatial is its use of web-based GIS technologies to present spatial data relevant to all levels of the sport and recreation industry. Team leader, Rochelle Eime was on hand at both ceremonies to receive the awards. 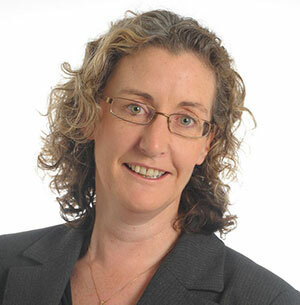 In commenting on recent success, Rochelle referred to the contribution that Sport and Recreation Spatial has made to the industry, “These awards recognise the significant achievements made by the Sport and Recreation Spatial research team, and our key project partners, in conducting research that is in addressing industry-relevant questions, of national and international significance”. Sport and Recreation Spatial is a collaborative program of research between the Faculty of Health (FedUni), CeRDI and the Institute of Sport, Exercise and Active Living (Victoria University). 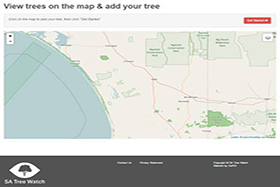 Another new web portal enabling citizens in the Coorong and Tatiara regions of South Australia to document the health of their local trees has recently been launched. This portal, called South Australia Tree Watch, was developed in collaboration with researchers from FedUni’s Faculty of Science and Technology, with support from project partners the Coorong District Council, Tatiara Council and the Coorong Tatiara Local Action Plan. The Coorong and Tatiara regions are located south east of Adelaide, incorporating the Murray River and other significant environmental sites, including Lake Alexandrina and Lake Albert. The region has experienced substantial environmental challenges in recent years, including dryland salinity and poor tree health. The region’s trees have become iconic features of the natural and agricultural landscape however many of the trees are experiencing significant health problems with some trees already dying, or showing significant signs of stress and poor health. 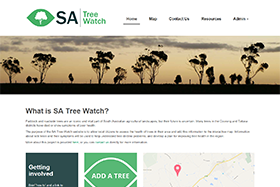 South Australia Tree Watch will enable local citizens to assess and document the health of trees in their region. These details are uploaded directly onto the portal using the interactive map and custom-built forms. The data captured will be used by the research team to develop spatially-explicit models of drivers of tree health decline, which will be used to formulate management plans to improve tree health across the region. The information supplied by the community will ultimately enable local councils, environmental management organisations and community groups to better understand and identify the symptoms of sick trees, contributing broadly to an understanding of the wider issues associated with tree decline. The South Australian Tree Watch research was led by Nick Schultz and Megan Good from FedUni’s Faculty of Science and Technology. CeRDI, under the leadership of Birgita Hansen, contributed to the portal’s development with the technology features, including the data entry forms and mapping interface created by Peter Plucinski and Craig Briody. In commenting on the new portal, Birgita described its main objective: “This site will essentially enable crowd-sourcing observations on tree health from south-eastern South Australia. It will build a map of symptoms with which to undertake a spatial analysis of probable causes of tree health decline in the region. The focus of the site is the map portal, where community members (particularly farmers) can add their observations of tree health”. 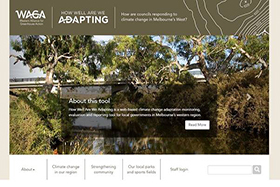 CeRDI, in collaboration with the councils of the Western Alliance for Greenhouse Action (WAGA), recently developed the How Well Are We Adapting web portal. The portal offers a web-based tool to assist the WAGA councils to implement a framework for monitoring, evaluation and reporting on climate adaptation. WAGA council members are drawn from local governments in Melbourne’s west, including the Cities of Brimbank, Greater Geelong, Hobsons Bay, Maribyrnong, Melton, Moonee Valley and Wyndham, and the Shire of Moorabool. Collectively, they aim to respond to climate change across the region by implementing plans and projects that focus on the mitigation of greenhouse gas emissions as well as adaptation to the impacts of climate change. The How Well Are We Adapting framework, developed in partnership with the RMIT Centre for Urban Research and Net Balance Foundation, underpins the work of the WAGA councils. It specifies the monitoring, evaluation and reporting on climate adaptation performance of the WAGA member councils. The framework is unique, being among the world-wide first climate change adaptation monitoring and evaluation framework implemented for measuring adaptation focused on local government, and developed and tested by decision-makers. In 2016, CeRDI was engaged by the WAGA councils to develop the How Well Are We Adapting portal. The portal provides the foundation for developing the capacity for councils and each of their communities to respond to and manage municipal climate impacts. 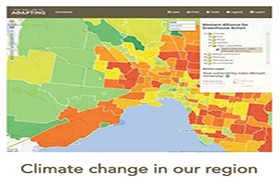 The CeRDI project team, comprising Birgita Hansen, Heath Gillett, Craig Briody and Drew Collins, have worked extensively with the WAGA councils to develop the portal, and have implemented a novel approach to monitoring, evaluation and reporting on climate adaptation. The portal combines both the spatial visualisation of data in an interactive map with on-the-fly data summary through the indicator reporting tool. In commenting about the unique technological features of the portal, Birgita said “The combination spatial visualisation of data in an interactive map with on-the-fly data dynamically links the data reporting tools and the mapping tool enables rapid numerical, qualitative and spatial summaries for end users”. The project portal will build the capacity of the member councils to respond and manage climate threats, and will also provide important information for residents across the region to develop and raises awareness of local climate change impacts and how these can be addressed. The portal was launched in early May at Brimbank City Council. It will continue to be enhanced over coming months once wider community and council feedback is received. Significant technical and content enhancements have recently been made to Land Your Career, a comprehensive portal providing information about land management careers across a broad range of themes that include water, fire, natural environments, restoring landscapes, forestry, conservation, cultural heritage, biodiversity, sustainability, parks/reserves and landscape/building design. The principle goal of Land Your Career is to provide school students and school leavers, careers advisors, teachers and mature age students with accurate information about pathways and qualifications required for specific land management careers. 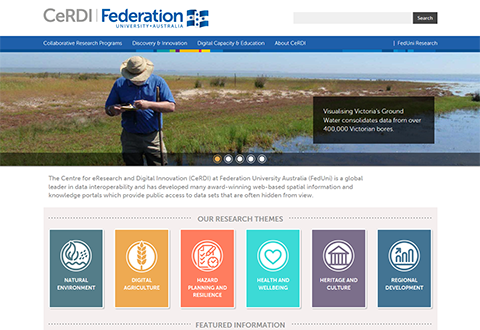 The portal was originally developed in 2016 by CeRDI together with FedUni’s Faculty of Science and Technology, a consortium partner on the project. Land Your Career is part of a larger project - the Integrated Land Management Curriculum for Victoria (ILMCV*) - which involves a unique teaching and training partnership between six tertiary education providers across 18 locations in Victoria’s west. The project aims to significantly enhance opportunities for regional, rural and remote students to participate in higher education through increased collaboration and co-operation between institutes in the regionally vital discipline of land management. For further information (CeRDI 2015 Annual Report - Land Your Career). The latest Land Your Career developments now include an innovative and informative analytics tool using natural resource management (NRM) job data supplied by NRMJobs and the Australian Institute of Aboriginal and Torres Strait Islander Studies (AIATSIS). Available information about the geographical location of particular NRM jobs together with estimated remuneration, over time. This data is available for searching and is presented spatially. This enables visitors to explore the location of jobs, the salary associated with these jobs and how this has changed over time (2010-2015). CeRDI’s Scott Limmer has been integral to developing and integrating the latest technical developments for Land Your Career. These have also been supported by the lead organisation, the University of Melbourne, together with project partners Bendigo TAFE, FedUni’s Faculty of Science and Technology, South West TAFE, Sunraysia Institute of Technical and Further Education, and Timber Training Creswick. 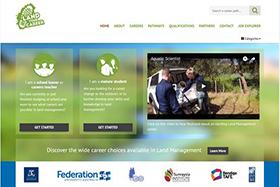 The latest updates to Land Your Career offer further opportunities to educate and inspire prospective students on the careers and roles that exist within the land management sector. The latest mapping feature is particularly informative for secondary students and teachers enabling prospective NRM students with a comprehensive understanding about how to become qualified and what they can expect in their future career with regards the location of their work and the salary levels. *The establishment of the ILMCV was funded by the Department of Education and Training through the Regional Partnership Facilitation Fund. Latham’s Snipe in Port Fairy. The Latham’s snipe project commenced in 2015 with the aim of obtaining information on migratory patterns of the Latham’s snipe (Gallinago hardwickii), a shorebird that migrates to the Japan from Australia, and has resulted in the first ever full migration track for the species. The project, which has been regularly featured in the CeRDI newsletter (Learning about the migration of Latham's snipe) is co-ordinated Birgita Hansen, together with the Lathan’s snipe project team working in close collaboration with the Wild Bird Society of Japan (WBSJ). 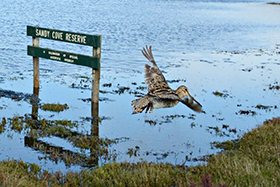 The project commenced with the capture and tagging of Latham snipe in Port Fairy, south-west Victoria in 2015. Data loggers (called geolocators) were deployed on birds and record day length. In October 2016, Birgita and colleagues re-captured the first tagged bird (T0) only a few hundred metres from its original capture site, 12 months previously. Earlier this year Birgita and the Latham Snipe Team, together with a cohort of volunteers again recommenced the capture, this time in the wetlands around Canberra. Snipe were fitted with satellite transmitters prior to their northern migration. Transmitters were fitted to two birds, leaving two transmitters remaining for next season. These devices provided some initial migration data before transmission was lost. Gwydir wetlands in northern NSW was identified as a key stopover site. Observations during the migration season provided additional insights including high usage by snipe of a wetland site in the port area of Cairns during April, as well as stopovers by birds in south-east Queensland. Collectively, observations combined with the geolocator and satellite transmitter data are providing important evidence about migration and stopover sites through eastern Australia. The Latham’s snipe completes its migration in Japan for the northern summer. In Japan, this project has received much attention with the Hokkaido Television Broadcasting recently producing a documentary about the research with filming and content for the documentary collected during the recent bird catching trip to Canberra, during the Australian summer. The documentary video (Japanese version) is available at www.youtube.com/watch?v=ezIf5wGmimA. Jennifer commenced working at CeRDI in 2009 while completing a Bachelor of Management (Honours) at the University of Ballarat. Her honours thesis explored Generation Y consumers’ motives for consenting to receive e-marketing communications. 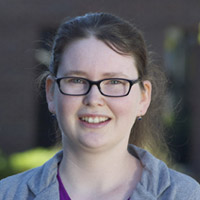 She is skilled in a range of eResearch data collection, analysis and reporting tools, which she uses to provide support to CeRDI researchers across a range of research projects. During her time at CeRDI, Jennifer has implemented a range of online evaluation surveys, staff surveys, resident surveys and self-assessment surveys, and has supported research staff and CeRDI clients in uploading their own online surveys. She has also compiled the results of these surveys which have been used to inform program evaluations, regional strategies and planning at FedUni. One of the first projects Jennifer worked on at CeRDI was the digitisation of reports stored in a Canberra storage facility. This project initially saw her compiling a knowledge base of the client’s records stored in the facility and followed with involvement in developing and implementing the workflow used to assess the more than 9000 files in the storage facility and selecting the relevant reports for digitisation. Jennifer was then part of the team that transposed a subset of content from the digitised reports into an online database and monitored the reports as they followed a workflow that has resulted in the reports being published online for public consumption. 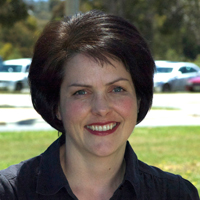 In 2012, when CeRDI experienced a significant period of growth, Jennifer was trained in the University’s financial systems and provided financial support to the Centre by assisting in the preparation of project budgets, annual forecasts, project acquittals and customised financial reports for the CeRDI leadership team. Jennifer is now providing research support for the longitudinal qualitative research being undertaken at CeRDI, which is measuring the impact of CeRDI developed e-research projects over four waves of data collection. Alison is a current staff member at CeRDI who commenced full time studies towards a PhD in July 2016. The focus of Alison’s research is on the characteristic services offered through business incubators (BIs) and how these impact on the positive psychological state of development of incubator tenants. Preliminary investigations suggest that incubators may support psychological capital (PsyCap). PsyCap is a multi-dimensional construct representing an individual’s positive psychological state of development represented by hope, efficacy, resilience, and optimism (F. Luthans, Youssef, & Avolio, 2007). Examination of the characteristic services offered through BIs indicate they may be analogous with interventions for developing PsyCap. Alison’s research will examine whether there is a relationship between the characteristic services offered by BIs and tenants’ PsyCap and whether this relationship exists over time. Three studies are proposed with data collected from tenants in incubators in Australia and overseas. It is anticipated that the data from these investigations will inform the wider BI industry, providing recommendations about the type of services that support tenant’s business growth and their PsyCap. Alison successfully completed her confirmation of candidature in May 2017. This PhD is being conducted through CeRDI and FedUni’s Faculty of Health with the City of Melton and Western BACE as industry partners. Supervisors: Dr Angela Murphy and Associate Professor Helen Thompson from CeRDI and Prof Suzanne McLaren, School of Health Sciences and Psychology, Faculty of Health, FedUni. Congratulations to the following CeRDI students who recently completed their Confirmation of Candidature presentations during May: Chris Bahlo, Thomas Hill, Alison Ollerenshaw and Shirish Sharma.